Whether it be Plasma Screens, Projectors, Surround Sound Systems, Home Theater Installation, Digital TV, Portable Audio, Digital Cameras, Security Cameras..., you can be sure our company will do top quality work for You. 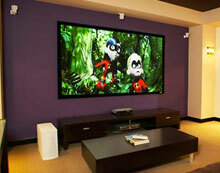 Home Theater and Commercial setups are our field of expertise. Turning your den/basement/spare room in to your very own movie theater or making your sports bar the envy of your competition is what we do best. And the best part is we can do for much less than the other guy. This is because we continue to research products, searching for hardware with the best Price / Performance ratio. We look for companies that make everything in house, their own drivers, crossovers, electronics and so on. What does this mean for you? It means any piece of hardware that we install will exceed your expectations. Combine this with our superior customer service and you will blown away by the level of service you receive. We build relationships, not customers. When you watch Gladiator in 6.1 sound and on an 100 inch screen in your own home, you will understand why we love this so much. We are your single point resource for custom design, installation and maintenance of quality electronic systems for fine home and business environments. We strive to provide a professional yet relaxed environment for you to explore your electronics needs. We offer complete installation and setup of latest in digital surveillance technology to protect yourself, your family, home and business. 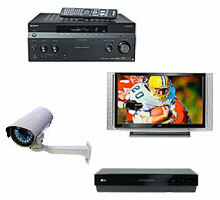 We repair all sorts of domestic and industrial electronic equipment. Feel free to contact us to see if we can help you with your technical problem.